In my last post, I gave my top tips for how to visit Disneyland with a toddler and make the most of your time — without losing your mind. Today, I’m sharing with you the resources I found especially valuable when I planned our trip. There are great times of the year to go, and there are days the park is so busy it can wear down even the happiest park fans. Is it Packed? This is a day by day calendar for each month, color coded by crowd volume for an easy, at a glance trip planning tool. Their rankings go from “Ghost Town” to “Hey, It’s Alright”, to “Yep, it’s Packed”, to “Forget about it” and they note dates that are your “Best Bet.” This helped us tremendously in planning our travel dates. Disney Tourist Blog’s Best and Worst Months to Visit Disneyland. They include a month by month description of happenings at the park and how they affect crowds, and include links to their crowd calendars by month. If you’re interested in what the park has to offer each month or which weeks of the month are better than others, this is packed with information you may find valuable. 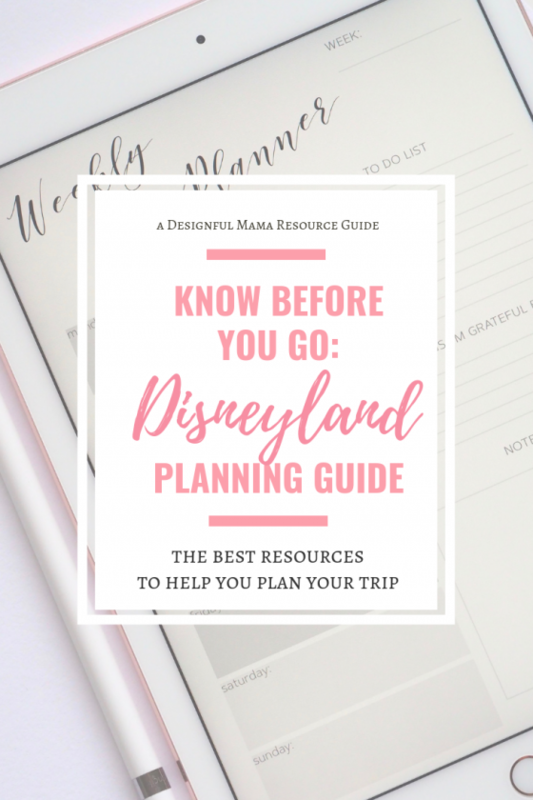 Mom-blogger and Disney enthusiast Casey Starnes runs a site called Disneyland Daily, and has a toddler focused trip post that even provides a touring plans for visiting attractions with a toddler to maximize your ride-to-wait ratio. She includes best attractions for toddlers including height requirements. We used her agenda a rough guideline on our first day when deciding where to start when we arrived at the park. My favorite source for information about all things Disneyland is Gothic Rosie’s Disneyland Info Facebook page. Rose searches and finds the latest updates, news and information and puts it all in one place. She has daily updates about everything from construction projects on the property, to which attractions are expected to be closed for refurbishment, to special collector items available. She also includes information about special events at the park, including official events and unofficial fan days. I read the updates in detail for about 6 weeks prior to our visit, to stay familiar with what to expect. So when Disneyland closed early for Mickey’s Halloween Party during our trip, we didn’t get caught off guard, but instead we planned to be in California Adventure checking out Cars Land at night (which I highly recommend you do!) and head back for an early night. 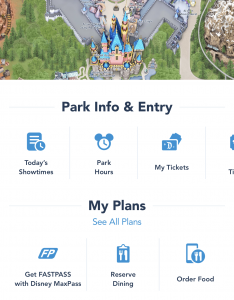 Download the Disneyland App to your smartphone, and you can see current ride wait times and check out the various places to order food for pickup within the park. The app allows you to check out show and parade times, and find out where and when to meet your favorite characters. You can also book specialty dining through the app and view photos that are linked to your MaxPass. Even better, you can link your ticket to the app and you don’t have to even take it out to enter the park. You’re probably already holding your smartphone… just screenshot your ticket from the app, save it as your lock screen wallpaper and hold it up for entry. Voila! If you plan to take advantage of character dining or specialty dining (including dining packages that include premium views of the nighttime shows), make your reservations well in advance (up to 60 days), or you may miss the opportunity altogether. Visit Disney’s dining information page to see what packages are available and/or make reservations online, or call Disney’s booking number at (714) 781-DINE.